Free quilt patterns are a must when quilting or getting inspired to quilt something amazing. 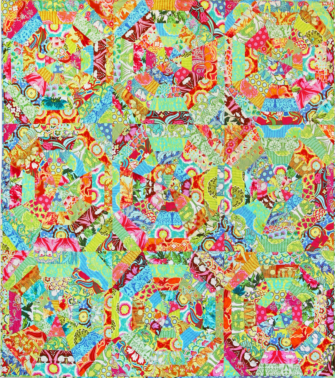 This new pattern in our how-to section features striking colors and designs in fresh and fun new quilt fabrics. Today's free pattern comes from Westminster, the makers of Amy Butler's fabrics, and features quite a few styles from her new line, "Soul Blossoms". Not only does it include detailed instructions and easy to understand pictures, but also templates for cutting out your quilt pieces. Bring a little spring into your winter days! Enjoy all the fun of quilting with just a few easy steps with this free quilt pattern called Sunshine from Westminster!